The Hard Knox Roller Girls are back on the track getting ready for a brand new season! They are dusting off skates, working out strategy, and getting ready for the 2018 season. I had the opportunity to sit down with one of the hardest hitting and strongest blockers on the team, Cut N Dye. She may speak softly, but she makes her presence known. If you are like me, you are dying to know who is Cut N Dye. How long have you been skating (derby and non)? What originally drew you to roller derby? What keeps you coming back? I've been skating since I was two, pretty much as soon as I could walk. 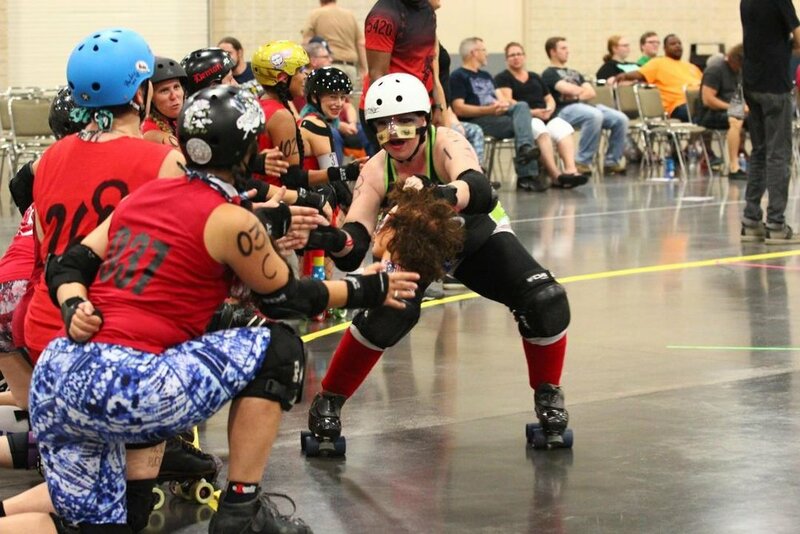 I found out about roller derby when a ref for Hard Knox came in to my work for a hair appointment about 12 years ago. She tried to recruit me. I was interested, but I couldn't join at the time. A few years later, I ended up joining at the end of 2009, so I've been skating with Hard Knox for about 9 years. I keep coming back, because I like the sport, I like hitting people, and the I like the camaraderie. You are a pretty formidable blocker and have skills to be reckoned with. What is your favorite thing to do on the track? What would you like to leave fans thinking about you? My favorite thing is to hit people. I want fans to be entertained and keep coming back. What is your least favorite thing to do on the track? I hate going to the box. I also hate getting injured to the point that I can't play. What are your personal goals on the track this year? I want to help my team succeed by bringing in wins. Before a bout, many skaters have routines that help them get in the zone. What can you tell us about your bout day schedules? On bout days, I try to relax and hydrate. I like to get ready early, so I take a shower then put on my “boutfit”. I eat a small breakfast and then a sandwich for lunch. I arrive at the venue early to help set up. I always eat a banana and Reese's Cups about an hour before I skate. I put my gear on in stages, then I finally put my skates on in time for open skate. What was your favorite thing this past season/awesome story you will be telling for years to come? I liked going to Charlotte because I took a side trip to Zootastic where I played with a baby tiliger. (A tiliger is half tiger and half liger, so 3/4 tiger and 1/4 lion). Who is your inspiration (on or off the track)? Why? There isn't any particular person that inspires me. Anyone who puts on a pair of skates and plays in a bout is my inspiration. What would you like to say to anyone considering playing roller derby? I would tell them that it's a lot of fun. It's good exercise that isn't boring. There's never a dull moment. You have worked with the Fresh Meat program, junior derby, and rec league for many years. What is your least favorite thing to teach newbies? Patience. There are a lot of stubborn personalities that are attracted to roller derby. You need to be patient with yourself so you can learn. I understand that. I am not very patient myself. One thing that is difficult to learn as a new skater is what kind of gear to buy. What is your gear set up? I wear a little bit of everything: Riedell 1065 skates, PowerDyne Reactor plates, TSG (a British company) knee pads, Smith Scabs knee gaskets, Triple 8 wrist guards, 187 elbow pads, an S1 helmet, and a SISU mouth guard. You were last featured as skater of the month October, 2015. What has changed since then? What improvements do you feel you have made as a skater? I'm a quiet person, but I feel like I have improved my communication with my teammates. Most skaters have a story to go with their name. You chose Cut N Dye because you are a hairstylist. What is your favorite type of haircut/style to give your customers? There's no particular cut or style that I like more than others. I want to make my customers happy with whatever style or cut they prefer, so they keep coming back. I like the challenge of modern haircuts and styles balanced with the simplicity of quick and easy cuts and styles. You have a rather large fur family. What would you like us to know about them? Who is your favorite? I love all animals. My pets have their own personalities and unique quirks, so they are all my favorite for different reasons. You also enjoy other sports that keep you track ready. What can you tell us about mountain biking? Where is your favorite spot? 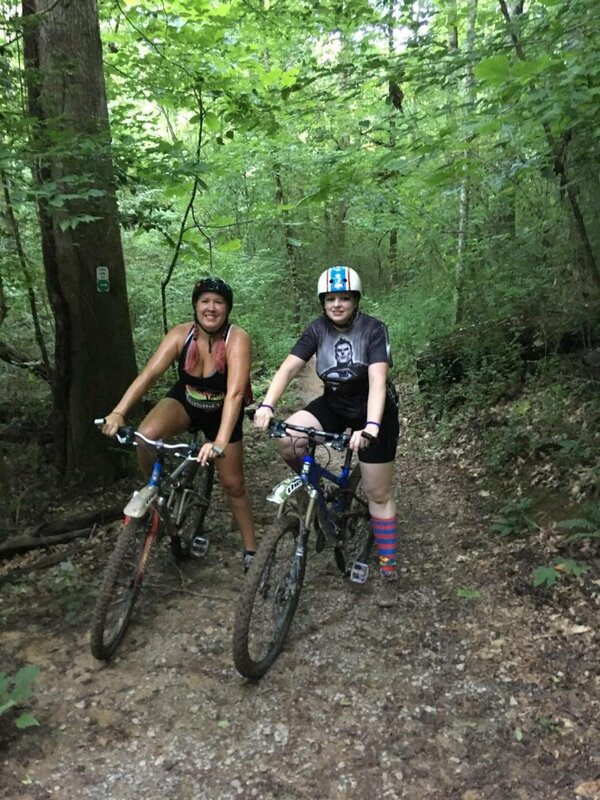 Mountain biking is one of those intense activities that you don't think of as exercise because it's fun. I don't have a favorite spot; I just like being out in nature and the woods and I like the challenge of trying new trails. What other things do you like to do in your off-track time? What is your favorite thing to watch on TV/movie and why? I like to work on wood burning projects and play with my animals. I like watching The Walking Dead because it's full of action and zombies. I also like Vikings because it has good characters and the historical aspect is very interesting. If you could go anywhere (past or present) for a week, where would it be? I would like to check out Scandinavia in the time of the Vikings. I find their arduous lifestyle and their resourcefulness in an unforgiving landscape both fascinating and inspiring. Thank you so much for taking the time to talk to me and our readers. Who would you like to see us feature next month? I want to nominate Sally Stitch because she's new to the team and has been looking forward to joining us for a long time. I want to know about her perspective on the differences between junior derby and adult derby and her transition to joining Hard Knox. Check back next month to get to know another member of the Hard Knox family.